Literature searching is a key skill for Health Sciences students. We know that it can sometimes be a challenge to find the right literature or to search resources in the right way, so we have lots of sources of support. This page provides some ways to get help - if in doubt, just ask! There are lots of ways to get help from the Library. You can ask at our Help Desk or via our 24-hour chat service. You can email general queries to lib-enquiry@york.ac.uk, or anything specific to Health Sciences to lib-healthsci@york.ac.uk. You will have seen the Health Sciences Academic Liaison Librarian for taught classes in your programme, usually to support you with key assignments. Refer back to the lecture's slides and other supporting materials to make sure you understand the main principles. The Tutorials and Guides section of the Subject Guide contains links to a range of online support materials to help you with literature searching and other key skills. You can explore these materials at your own pace to learn or revisit things which you're finding challenging. Our Skills Guides contain a range of tutorials, workbooks and videos to help you to improve your academic and digital skills. You'll find support on a range of skills, from creating posters to presentation slides and beyond. We run regular Library Surgeries in Student and Academic Services (in Seebohm Rowntree). Pop along at any time during the Surgery with your questions; there is no need to book, just turn up on the day. You'll see the Surgeries scheduled in your timetable, or the times are advertised on the Subject Guide home page. If you have tried the advice online and you're still struggling, you might like to email us or book an appointment for further support. Taught students can book an appointment using our booking system. 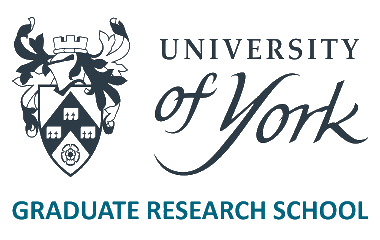 Research students and staff should email lib-healthsci@york.ac.uk to arrange an appointment. Make sure that you attend the appointment with specific questions and an agenda of items you would like to discuss.